Whether you think about it this way or not credit can have an incredible effect on your life and even on your employment. One good way to think of it is as a cloud that follows you everywhere you go. It can be a nice, fluffy, little cloud or a big, black cloud. Your credit score, which is a little three-digit number, tells where you stand and how potential lenders will view you. If you don’t know your credit score one good place to get it is using Credit Report Card. This tool will even divide your credit score into sections and show you a grade for each of them. For example, when you access it you will be able to see how your payment history, your debt and the other factors affect your score. When you apply for an auto loan your credit score will dictate the interest rate you get. Most auto lenders won’t review your financial history or read your complete report. They will rely instead on your score and the data on your application. If your score is 750 or above you will get the best interest deal available, which can be 0%. What happens if you have a low credit score? You’ll still be able to get that loan but it will come at a very high interest rate. Where can you get the best auto loan interest rates? The answer is generally from credit unions and online lenders and not auto dealerships. You’re probably not aware of this but cell phone companies generally check your credit before they give you a service plan. If you have bad credit you may be required to put down a larger down payment or pay extra for your contract. Some cell phone companies don’t require a credit check so if your credit is bad your best bet would be to hunt down one of them. Also be aware that some service contracts give the company the right to review your credit at any time. Perspective landlords and rental agencies usually will review your credit report. What they look for are missed payments and other negative information on your report that shows you might not be a reliable tenant. People that have bad credit are often required to put down a much larger deposit or to get a co-signer. In a worst-case scenario your application might be turned down. Unfortunately, if you have been making your rent payments on time this won’t help your credit score because this is not reported to the credit bureaus. However, this may change. More and more property management companies and landlords will now report a positive rental history, which can help you build your credit. One good tip is to ask your landlord if it currently reports your rent payments. If not, you could suggest that it use a service such as RentTrack where you pay your rent online. Your payments would then be reported at least to the credit bureau Experian. Banks and credit unions don’t check credit reports when you apply for a checking or savings account. However they will use ChexSystems to review your history of banking negatives such as bounced checks before giving you an account. Make no mistake about this. If you apply for a credit card, the issuing company will review your credit score to determine whether you qualify and the terms you will receive. There are credit card offers that actually have different interest rates for borrowers depending on their credit scores. 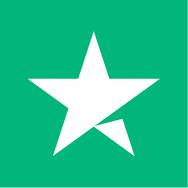 As a general rule cards with low APR’s or that offer rewards require high credit scores. While you might know that credit card companies will check your credit score when you apply for a card you might not know that some of them review your credit scores even when you are an existing customer and may then adjust their rates accordingly. More and more employers now routinely check the credit reports of prospective employees. However, they must get your permission in writing before they can do this. What employers generally look for are major negatives or discrepancies. In the event a prospective employer takes “adverse action” based on your credit report, it must first notify you and then give you a copy of your report. When you submit an application for home or auto insurance, the company will use your credit information to determine your terms and rates. While the scores and reports that insurance companies use are a bit different than those used by creditors and lenders, your basic data and standing will be the same. 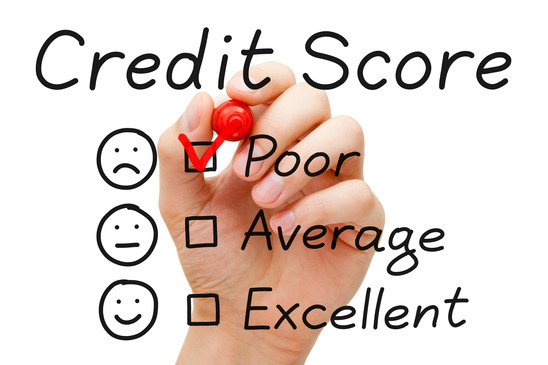 The insurer must ask for permission to access your credit reports and may use that data to determine your “insurance risk score.” If you have a high score your rates will be better. You will probably need to give your permission but cable, electricity and other utilities companies will check your credit report. If you have a problem with your credit you will probably need to put down a bigger deposit, pay higher rates for your utilities or get a co-signer. If you live in a state that has community property laws such as California, Texas and Arizona, the utility companies might even check your spouse’s or partner’s credit history. If you apply for a mortgage the lender will review all three of your credit reports and credit scores. Since a mortgage loan is typically much bigger then a student or auto loan, the review process is much more comprehensive. You’ll need to have a credit score above 700 to get a standard mortgage interest rate. Agencies that enforce child support routinely check the child support payment and credit histories of delinquent parents. When they make an inquiry about your credit history this will not appear on your credit report and will not change your credit score. However, if you don’t pay child support this will be reported by the child-support enforcement agencies to the credit bureaus and can damage your credit score. If you or your parents apply for a private student loan the lender will check your credit report. However, the interest rates on federal student loans are set based on national rates so these loans do not require a credit check. As you can see from what you’ve read in this article your credit is totally omnipresent or threaded throughout your entire financial life. If you have a good score of 750 or above, the world is your oyster. You should be able to rent an apartment, get a credit card, open a checking account or get a cell phone plan with no problem at all. Unfortunately, the opposite is true. If you have a poor score that big, dark cloud hanging over your head is going to make your life much more difficult.